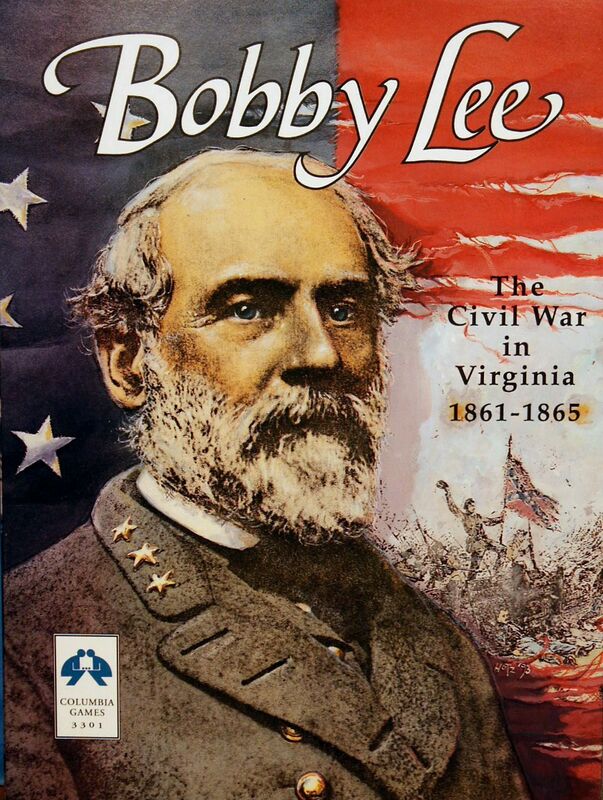 Bobby Lee covers the eastern theater of the American Civil War around the Virginia area from 1861-1865. It comes with a beautiful card-stock map of Maryland, Pennsylvania and Eastern Virginia and heaps of wooden blocks for the North and South. The game utilizes both a strategic layer of the conflict but also provides a slightly more tactical layer of combat with additional battle maps that allow for center, and flank positions of specific units. The game can be combined with Sam Grant so that both theaters of the Civil War can be played out at the same time. This title uses Columbia Games Block system. While there are variations in the rule sets for each of their games none the less all of their games are based on block system. Basically this means that rather than the traditional use of counters to represent units on the map the game instead uses wooden blocks that stand upright and with unit details only shown on one side of the blocks. This does two things: First it provides an easy way of producing a "fog of war" because your opponent can not tell, save through good memory, what type of unit a specific piece is and it’s current strength. Second, by having the blocks stand on end it provides a way to keep track of a units strength by rotating the block so the current strength is the top number. Most war games have some type of mechanism that lets units take steps in their overall strength. Counters normally have at most two steps because of they only have two sides, however blocks have four and so now you can easily keep track of twice the amount of detail that many other war games provide. With the use of blocks Columbia has provided a way of adding a good deal of depth to their war games without adding further complex layers of bookkeeping and thus allow for interesting and relatively short sessions of play. All artwork and graphics in the game Bobby Lee was created by RPG/Historical artist, Eric Hotz.